Shock Top selected a new agency today, naming Deutsch's New York office as its newest partner. "I'm pleased to share that Shock Top has brought on Deutsch as our agency of record. We're excited to work together on some great creative in 2017," Jake Kirsch, vp, Shock Top, said in a statement. Shock Top had been working with Anomaly in Toronto. 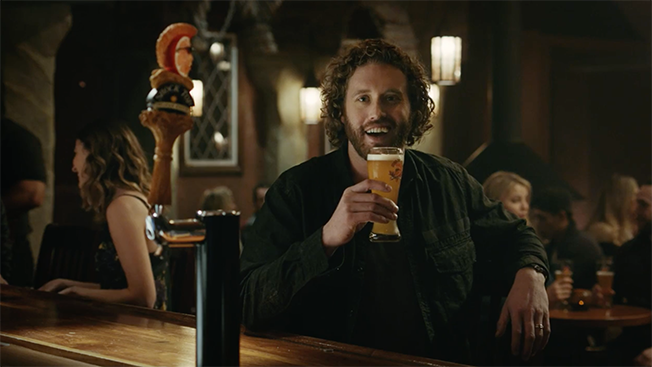 The agency most recently worked on the brand's Super Bowl 50 spot, part of its "Live Life Unfiltered" campaign, starring comedian T.J. Miller and a talking Shock Top orange mascot. In early August, the brand announced it would be looking for a new agency to work with, but did not label it a creative review as Anomaly was not Shock Top's agency of record. According to Kantar Media, A-B InBev spent roughly $21.6 million in measured media on Shock Top through the first half of 2016. The move comes just a few months after Shock Top parent company Anheuser-Busch InBev awarded Deutsch with lead creative duties for Busch. Deutsch now handles all of the Busch brands including Busch, Busch Light and Busch Ice. At the time, A-B InBev senior director of value brands Chelsea Phillips noted Deutsch's "track record of inventive, award-winning CPG and beverage campaigns," as a main draw for working with the agency. Busch also announced earlier in the week that it would be running its first Super Bowl spot in 2017, but no word yet on whether Shock Top will be back in the game as well. The appointment comes shortly after Deutsch added Uber to its client roster, making it the first U.S. agency to work with the ride-sharing app. It also follows the agency's loss of both the Sprint and Pizza Hut business to Droga5.